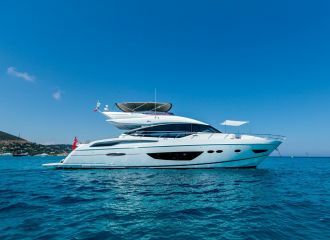 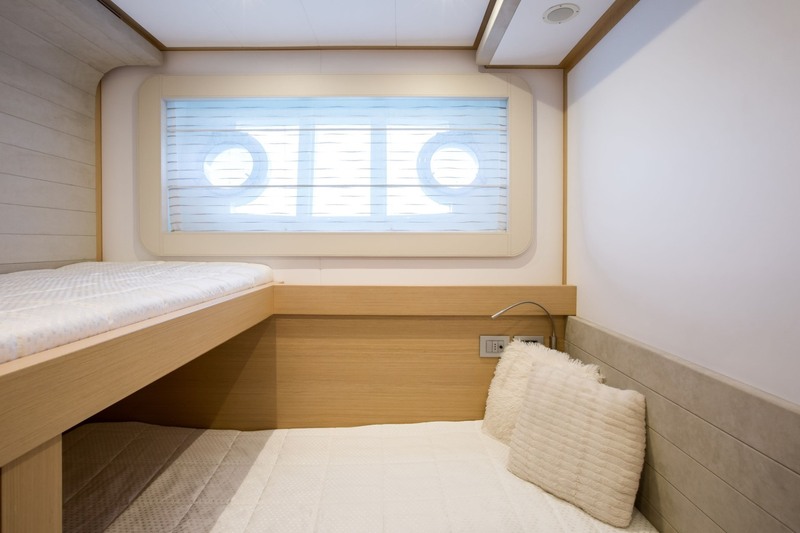 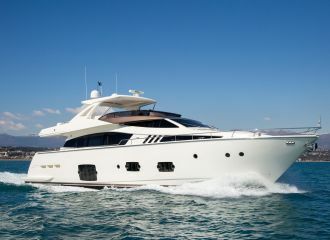 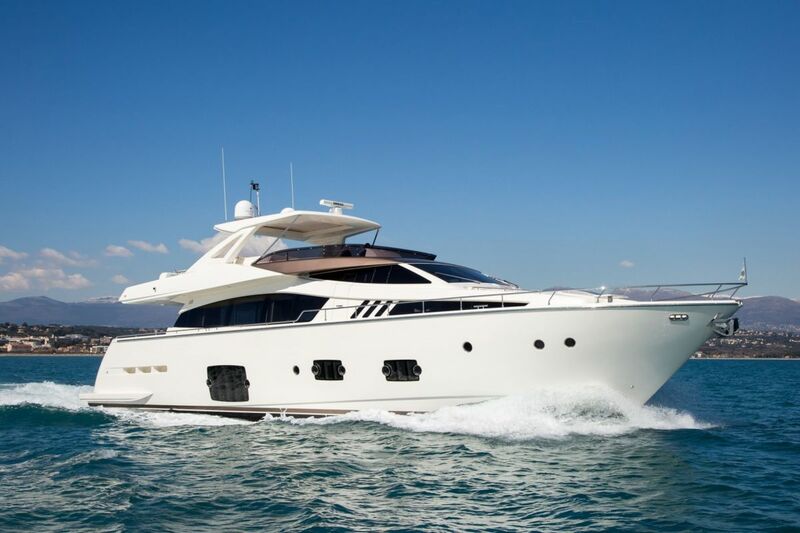 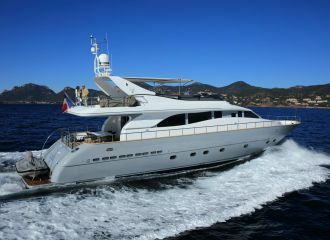 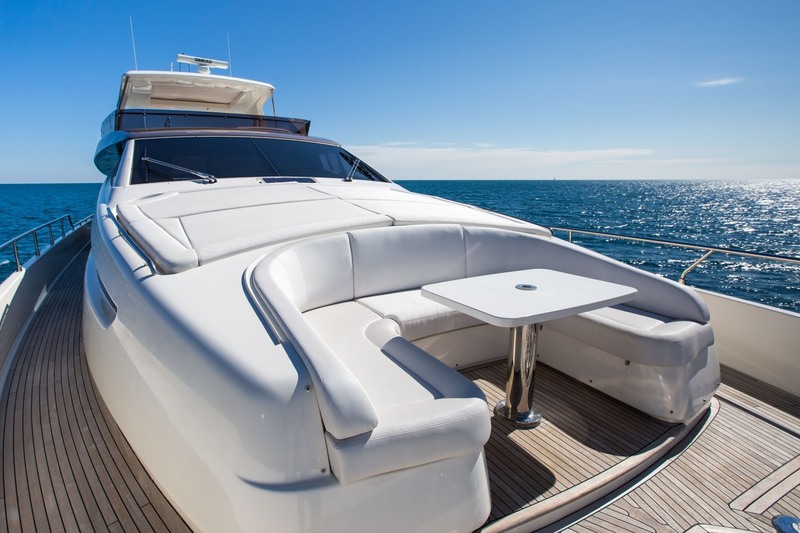 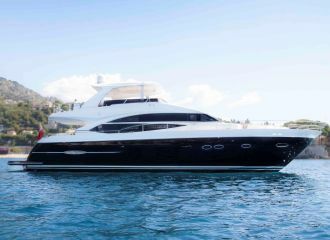 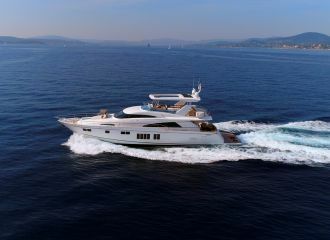 Launched in 2013, this Ferretti 800 yacht is available for a south of France yacht rental. 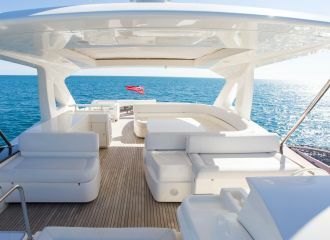 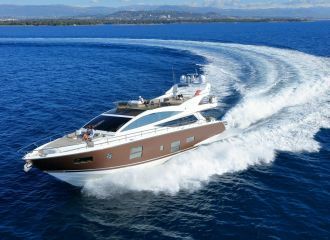 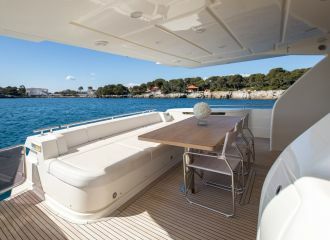 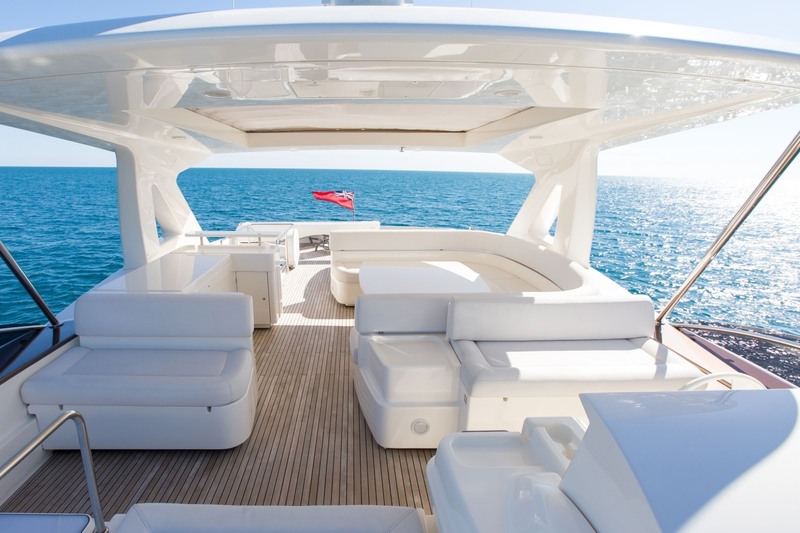 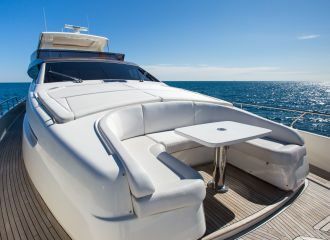 Exterior living is great onboard as the flybridge yacht offers a choice of sunbathing and dining areas. 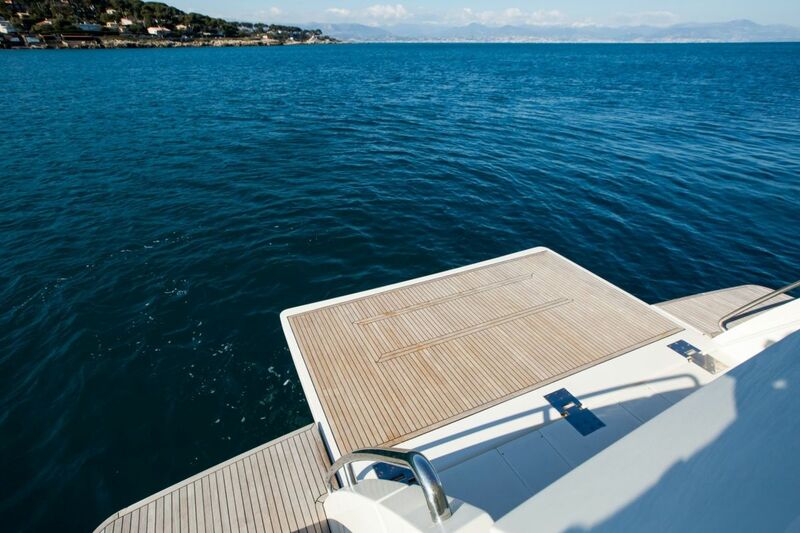 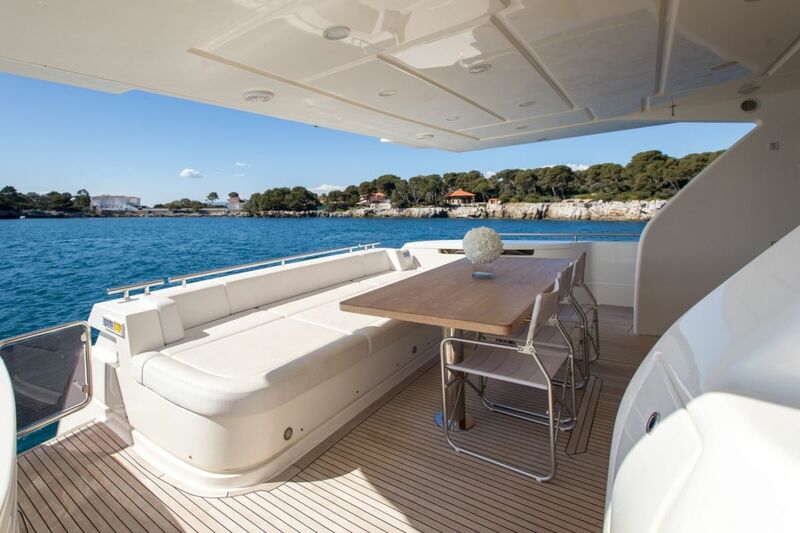 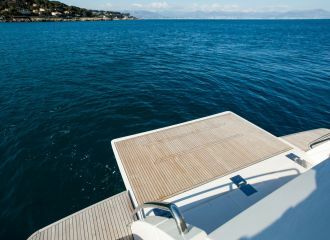 On the aft deck, the extended swim platform will ensure hours of fun during your French Riviera yacht rental. 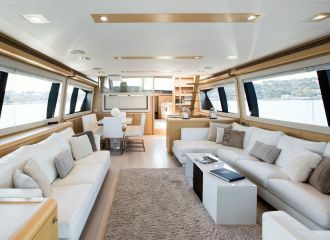 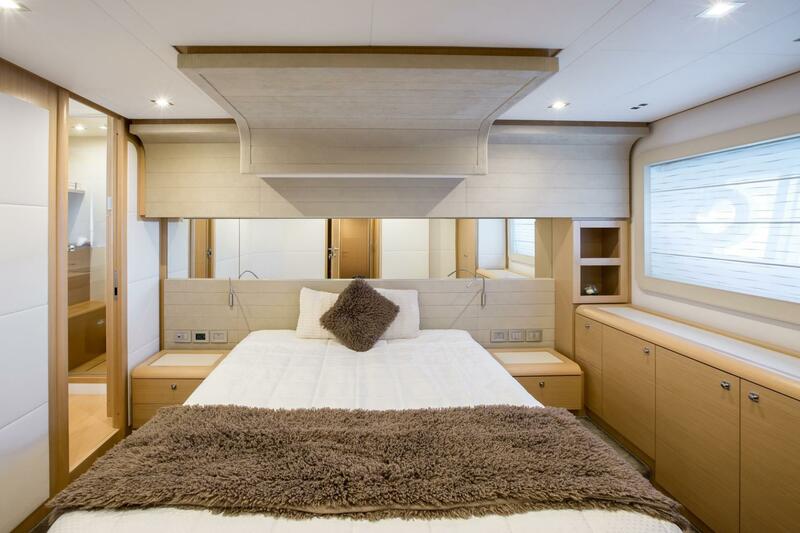 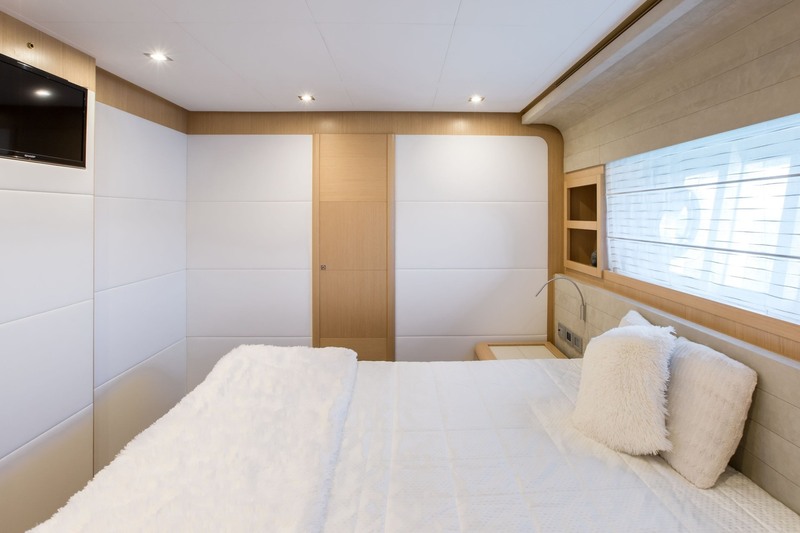 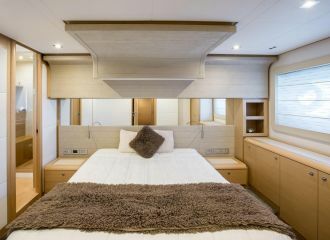 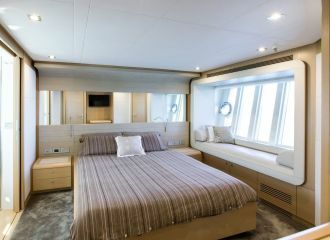 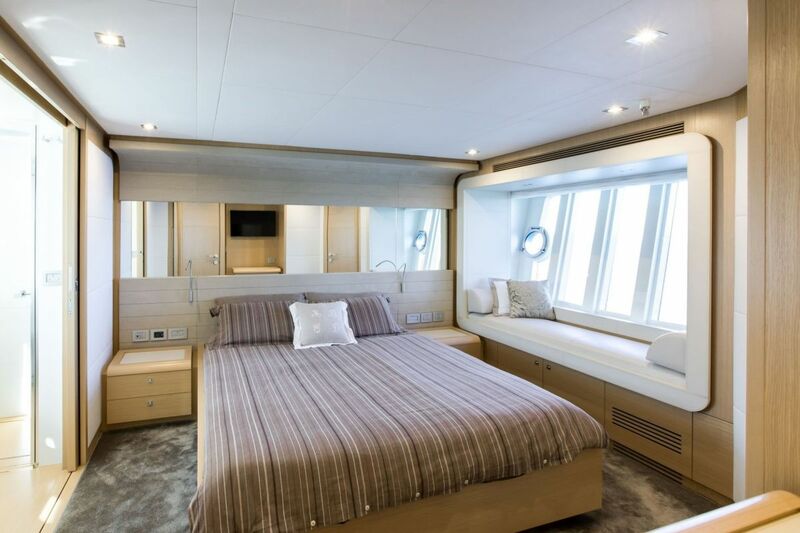 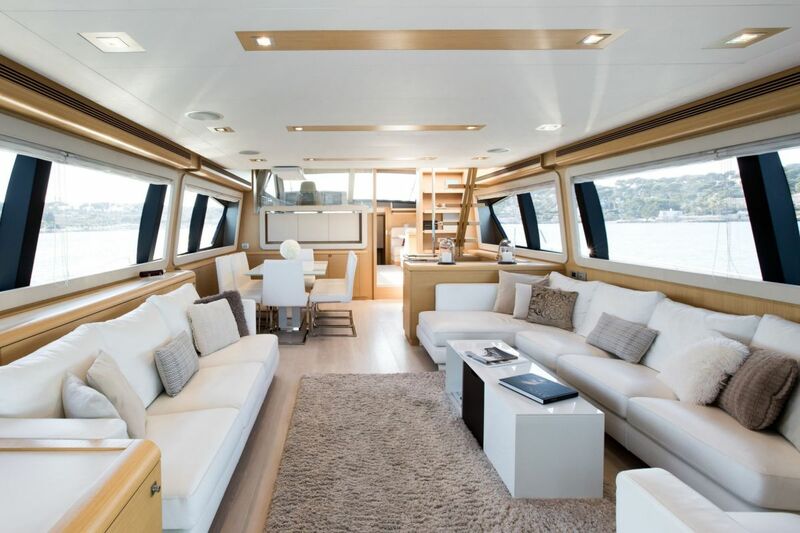 The interior of the yacht is particularly appealing to charter guests with its neutral furnishings, light wood and panoramic windows.